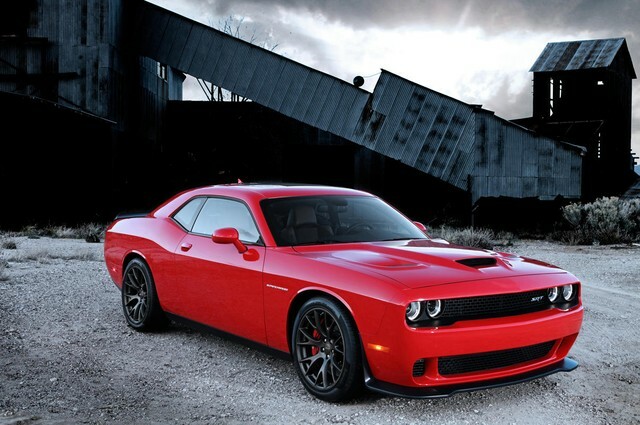 It's been a huge car industry secret for most of 2014: how much power will the new supercharged 6.2-liter "Hellcat" V-8 in the 2015 Challenger SRT produce? Today, Dodge reveled the answer: 707 hp. Gotta make sure you have the right key, however. The Hellcat engine comes standard with two key fobs, red and black. You'll want the red one, as it is the only one that unlocks the full 707 hp and torque; the black key fob limits the engine's output to "just" 500 hp. The mean kitty's partner in crime is a new eight-speed automatic transmission with manual shift control, of course. A full raft of hero-making track apps also comes as part of the SRT Hellcat package. The engine debuts later this year in the 2015 Challenger, which dons mildly refreshed headlamp, grille, and taillamp designs and as well as an all-new interior, which Dodge says is inspired by the classic 1971 Challenger. Watch this space for our first drive of the Hellcat and the rest of the refreshed Challenger litter in coming weeks.